Double duty: Can Sean Spicer pull off two prominent White House jobs at once? Can Sean Spicer, incoming White House press secretary and communications director, handle both the podium and the playbook? Experts say it may not matter. Donald Trump is his own communicator-in-chief. When Jason Miller abruptly backed out of a position in the Trump administration, he saddled incoming White House Press Secretary Sean Spicer with another full-time job: communications director. White House veterans and political communications professionals question whether Spicer can shoulder both the day-to-day duties of press secretary and the long-term strategizing of communications director in a combined role not seen in two decades. Their prognosis: a two-in-one job is easier said than done—at least not without major changes to how communications is run at 1600 Pennsylvania Avenue. Asked if he thinks Spicer will be able to effectively toggle between both positions, former White House Press Secretary Mike McCurry said, "Well, no. The time demands of doing that briefing really restrict your ability to be in the planning process for future events, which is what the comms office does. It’s tough to do both." Another White House veteran put it more bluntly. "There’s no way in hell you can be press secretary and communications director in the White House. The structure is simply not sustainable." All incoming administrations organize themselves according to their own discretion—and Trump’s transition communications strategy has been especially unorthodox, considering the president-elect’s tendency to drive the news cycle with morning tweets. Trump’s transition team is also signaling it may ditch the White House communications rulebook, baby and bathwater alike. "At this point, it works for them," says Jeff Eller, a former deputy assistant to President Bill Clinton and founder of the Jeff Eller Group. "I think it’s hard to evaluate their structure, because it’s hard to figure out. I mean, have you seen anything quite like it? It’s difficult to understand in a normal context what the strategic overlay is." Spicer asserts that he, and the rest of Trump’s White House team-to-be, will be up to the task. "Two things I would argue: One is Obama had [the relatively small number of] 45 staffers with him total when he came to the White House; Two, we have put together a talented and comprehensive team in both comms and the press office," he says. "There are a lot of folks we’ve had conversations with, and we have an unbelievably comprehensive transition team that is working day-in and day-out. I think there will be a seamless transition into the White House." Spicer notes that incoming counselor Kellyanne Conway, strategic communications director Hope Hicks, and director of social media Dan Scavino will play a role in White House communications. So will chief strategist Steve Bannon, who previously ran the right-wing news site Breitbart. Jessica Ditto as deputy comms director and Raj Shah, deputy assistant to the president and deputy communications director and research director, are also set to be key players. "It’s a big team," Spicer says. "[Bannon] — and I say this with a ton of respect — he’s a real big thinker. And he’s able to put things in context. So we look to him to help guide how we want to get somewhere narrative-wise." The incoming administration is reviewing what changes it wants to make to the day-in, day-out schedule of White House communications, having held a meeting on Thursday with the White House Correspondents Association. Spicer and incoming Chief of Staff Reince Priebus hinted the protective pool and press travel on Air Force One will continue, though changes may be evident elsewhere in how the White House interacts with the media, according to Politico. "We asked them questions about how certain things work and why they work the way they do and [if] they had suggestions to make things work better," Spicer says. "Some have constructive ideas of how to improve the briefing and how to get information." Since his election, Trump’s tweets, often posted in the early morning, have driven daily news cycles and kept corporate communications executives on their toes. Case in point: Trump’s Thursday tweet threatening a "big border tax" against Toyota if it builds cars at a plant in Mexico to sell them in the U.S. It prompted an early morning response from the Japanese automaker, contending it is an "important corporate citizen" that has invested more than $21 billion into the American economy. Spicer said Wednesday at an event at the University of Chicago that the transition team doesn’t vet Trump’s tweets; in fact, it has no idea what he will say to start the day. 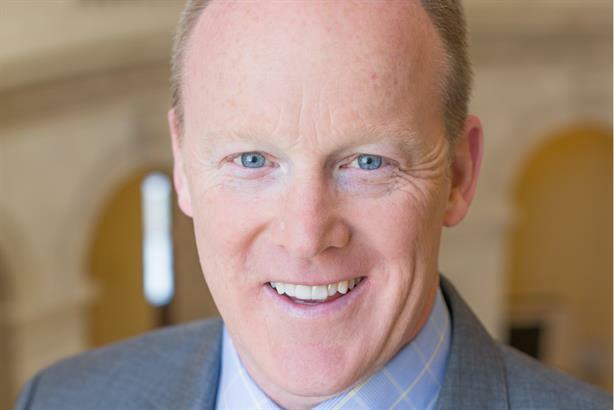 "I think it’s a huge asset," Spicer tells PRWeek. "He had single-handedly driven the news cycle through his use of Twitter and social media." Asked if it poses dangers, the incoming White House press secretary replies, "I don’t think there’s been a more effective messenger in the modern era than Donald Trump." That change—Trump serving as his own "communicator-in-chief"—is likely to affect how the entire White House communications team functions, say experts. "Let’s be clear. Trump has been his own comms director," says Ellen Moran, Hill+Knowlton Strategies’ EVP and GM in Washington, DC. "My eye is less on the dual role and more on the entire operation." Moran worked in the early days of the Obama administration as White House communications director. When the country voted for Obama in 2008, technology and social media were fundamentally changing the way people connect and how the White House communicates with the public. Those changes only accelerated, Moran notes, and the modern communications operation can’t give short shrift to key constituencies. "[Trump’s transition team is] trying to redefine how the model works, but they’ll run into the demands of the news media, stakeholders, and the public," she explains. "Those comms imperatives for reaching audiences are no less demanding than they ever were. They’ll have to figure that out and see if it can work. I have my doubts." The cause-and-effect process of reporting on Trump during the campaign and transition—Trump tweets, the media reports—is also forcing newsrooms to evaluate their coverage strategy. "This is going to be a radically different model of presidential communications, because it starts everyday at 6:40 in the morning with the president sharing whatever happens to be on his mind at the moment," McCurry says. "Every White House reporter would theoretically say that’s a gold mine. It’s an opportunity to redesign coverage. News organizations will have to seriously rethink how they cover the White House, because they’ll be in full motion by the time most White House reporters stumble out of bed." The dual press secretary-communications director role has been attempted before, notably with George Stephanopoulos in 1993, and "it was a disaster," recalls George Condon, White House correspondent for the National Journal. "They [the incoming administrations] can never appreciate from the outside how time-consuming [the job] is for the press secretary," he adds. "If they decide to scale it way back, maybe Sean will have the time to be an effective communications director and press secretary. But there ought to be someone who doesn’t worry about the day-to-day meetings with media, which is a big damn job. It doesn’t make sense to me why they’d saddle Sean with that." -Greg Jenkins, deputy assistant to President George W. Bush, now the principal at North Bay Strategies. "In our country’s history, there has been a thin line between campaigning and governing. I think Sean has a voice that’s calm and methodical. I think that he will be the face of the administration. There’s no question the campaign is over and it’s time for President Trump to be the president of all the people." -Jim Wilkinson, former deputy director of communications under President George W. Bush, now chairman and CEO of TrailRunner International. News reports from the early years of the Clinton administration describe icy pressers and a high level of mistrust. A reporter once started a question by saying: "Earth to George." President Bill Clinton eventually swapped Stephanopoulos into the role of senior adviser, taking him out of the limelight and behind-the-scenes. "In short order, they concluded he can’t do both," McCurry says. "This is the analogy I always use: the comms office is in product development; the press office is in retail sales. Spicer might be an amazingly able guy with a strong ability to multitask. But structurally, it’s difficult to do both." During his time as White House press secretary, McCurry started his day early, arriving at the White House at 6:30 am and attending staff meetings in the morning. Yet he spent the bulk of his time "totally absorbing all the information flowing through the White House and federal government" to prepare for the daily briefing in the early afternoon. Before beginning the session, he would consult the president, who would critique the game plan and offer suggestions on messaging. "Then after going back to my office and throwing the briefing book against the wall, I would take about a 20-minute nap because you’re spent at that point. Then you start the cycle all over again," McCurry says. Traditionally, a White House puts out its message via certain protocols and processes. Yet starting later this month, Trump’s team may have to be reactive to its own principal. "The biggest lesson we learned coming in is just the power and amplitude of the White House microphone," says Jim Wilkinson, who held several positions in President George W. Bush’s administration before moving on to Brunswick Group, PepsiCo, and Alibaba, then founding TrailRunner International. "That will take some getting used to." While the public gawks at Trump’s tweets for a signal he is pivoting from campaigning to governing, the president-elect has goaded Democrats and derided them as sore losers, dismissed intelligence investigations into election hacking, and sparred with corporations. "They will redefine governing mode," Moran predicts. "This is a guy who has done everything on his own terms." Asked how the president-elect will reassure Americans who feel anxious about his administration, Spicer says, "The president-elect started on election night by talking about unifying the country. And he’s going to continue to do that in words, deeds, and, frankly, his successes, as people realize that both domestically and internationally, he’s helping to create jobs and lift people up." However, the media has a different standard of coverage once a campaign ends and a president is sworn in. "It’s a lesson every new operation has to learn," Condon says. "When you become president, reporters don’t want spin. We want facts. In the campaign, there’s so much spin that Trump can get away with not telling us how he would pay for a program. He can do that in the campaign, but not as president." McCurry contends the model set up by the Trump team could be sustainable on one condition—"if they make adjustments in the White House structure that’s responsive to the nontraditional ways Trump communicates." "This may be the most innovative period in White House comms ever," he adds. "Spicer a bright guy, he knows how to work the line pretty well, and I wish him all the success in the world. He might go down in history as the press secretary that creates the new model for White House comms." Correction: An earlier version of this article misstated Greg Jenkins' White House role. It was deputy assistant to President George W. Bush.